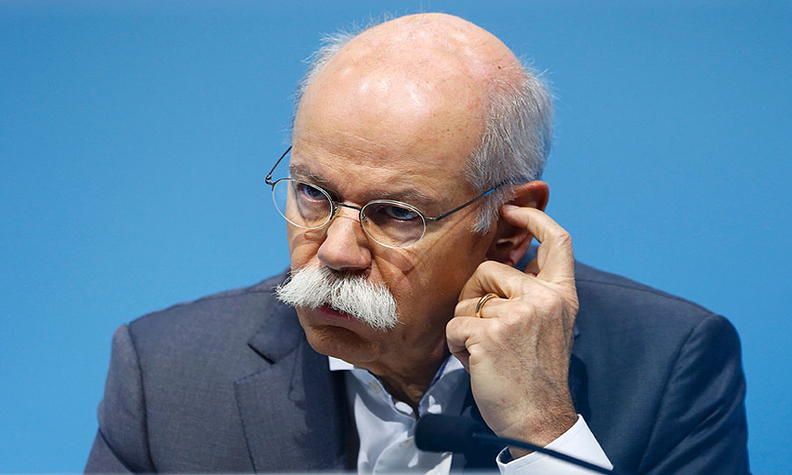 Zetsche: "There have been question marks about our efforts for a joint compact platform." STUTTGART -- Daimler and Nissan Motor are re-examining the scope of collaboration at their planned Mexican factory that’s set to make Mercedes-Benz and Infiniti cars. Daimer and Nissan are building a $1 billion plant together in Aguascalientes that’s scheduled to start rolling out Nissan Infiniti luxury models this year, and Mercedes compact vehicles starting in 2018. While Mercedes’s intentions remain on track -- despite the threat of U.S. import duties on cars made south of the border -- the extent of the collaboration is under review. Daimler and Nissan have developed and produced vehicles together since 2010 to better compete with larger rivals including Volkswagen Group. Their venture has made city cars, trucks and engines together, including electric versions of Daimler’s Smart auto. The Aguascalientes plant will be able to produce as many as 230,000 cars annually. Nissan CEO Carlos Ghosn said in January that the Daimler venture may take a “different shape,” and both Ghosn and Zetsche said last year the pace of their collaboration may slow now that the obvious projects have been tackled. Nissan decided in October its premium Infiniti brand would not use "MFA2," an upgraded Daimler car platform that the companies have jointly funded, in part because Infiniti was not performing well enough to absorb Mercedes' technology costs, sources told Reuters. Automakers from Ford Motor to Toyota Motor have been criticized by President Donald Trump for making cars in Mexico to be sold in the U.S. Trump has pledged to renegotiate the North American Free Trade Agreement and proposed a 35 percent tax on imported autos. The factory will form part of a Mercedes global network of four different sites producing smaller cars, Zetsche said.